1. Adopts photo electricity for inducing the products for fix the position. 2. Two feed-in modes, auto/manual can be choosing. 3. Speed of conveyor adjustment by frequency converters. 4. 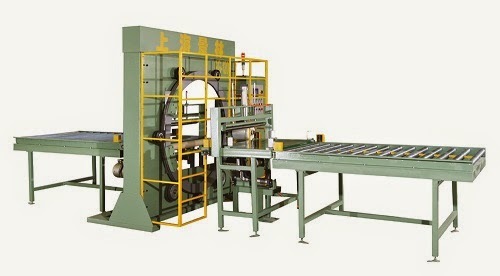 Adopts PE, POF and bubble film…on rolls up & down, and the machine will seal other three sides automatically. 6. Constant temperature heat sealing and cutting system is suitable for PE, PVC, film, etc. 7. Precise sealer temperature control system. 8. The sealing width is adjustable for different products. 9. The front feed in systems speed is adjustable, combines a worktable, it runs automatically without an operator comes true. 10. Sealing system: permanently heated seal bar with easy-exchangeable. Sealing blade without odorous, temperature controlled and detected by PLC.